JOHOR BAHRU, February 2017- Berjaya Waterfront Hotel, Johor Bahru celebrated Chinese New Year with a Lion Dance Performance by the Tarian Naga Ao Feng on People’s Day celebration. 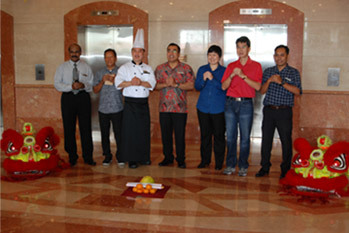 They were greeted upon arrival by the hotel’s General Manager, Mr. Dev Singh, Heads Of Departments and hotel staff. The performance began at the hotel’s main entrance, carried out at the General Manager’s office, F&B outlets, Sales&Marketing, finance and banquet hall. 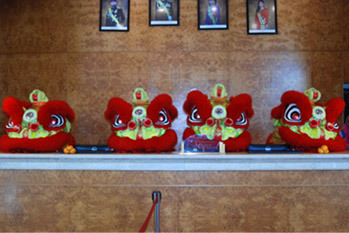 Guest gathered on 11th Feb to witness the exciting performance as the lions danced to the beat of drums and showed off their acrobatic skills in trying to ‘eat’ the salad leaves hung above the centre of lobby. 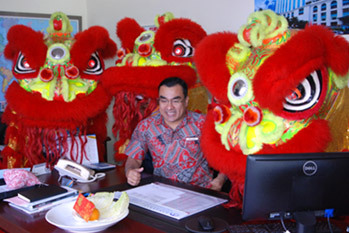 The Lion Dance is believed to bring good fortune, happiness and prosperity to hotel said Mr. Dev Singh. This is one of the hotel’s annual activities, added Mr. Dev. 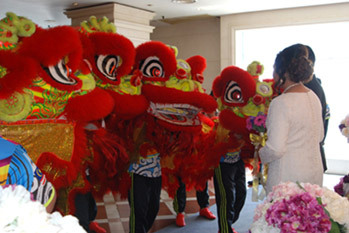 The performance ended with the Dragon Dance at the hotel main entrance. Alternatively, you may check out our website www.berjayahotel.com/johorbahru for exciting activities and promotions at Berjaya Waterfront Hotel, Johor and like our Facebook at Berjaya Waterfront Hotel, Johor Bahru. For enquiries, contact Berjaya Waterfront Hotel, Johor Bahru at +60 (7) 221 9999.